In the twilight years of the 19th century, barely a generation after the death and destruction wrought by the American Civil War, Victorian America plays host to a variety of secret occult societies. Beyond the sight and understanding of the uninitiated, sorcerers, alchemists, psychics, mad scientists, and even stranger things have worked arcane wonders for hundreds of years, secure in their power and influence over both the mundane and arcane worlds. In their hubris and greed, they have fallen to warring with each other in the shadows, but with a new century on the horizon and natural magical forces on the rise, new threats will make allies of old enemies. Or destroy them all. 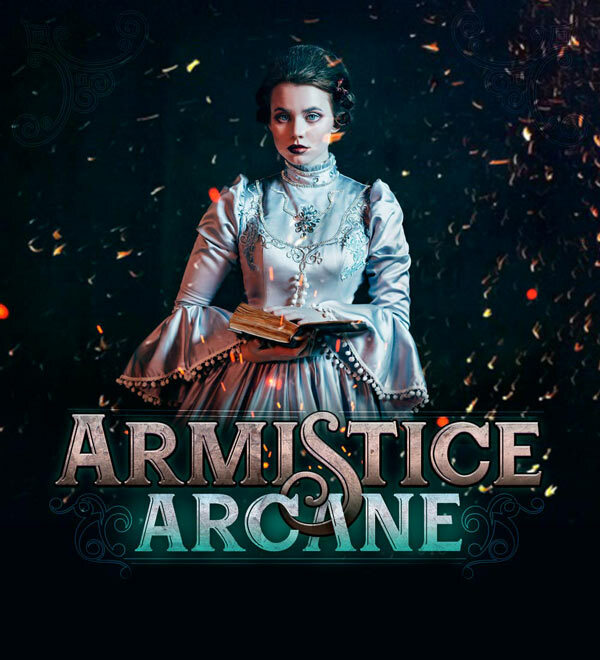 The Armistice Arcane, inspired by the Penny Dreadful novels of the Victorian era, is a game set in New Orleans during the late Victorian era. It is the story of eight magical societies that have formed in the United States since its founding as a country. At various times in their histories, these groups have befriended one another, warred against each other, and lived in uneasy peace. Whatever the situation at any given time though, they have always been insular, private, and loyal only to their own. They are always on high alert when around each other, and trust is hard to come by. In recent months however, it has become more and more clear that new threats are arising within the arcane world. Players will be given important characters from within these eight factions as they come together to revisit old alliances and possibly create a new agreement that will bring them together to fight the things that loom in the shadows. There will be discussions, dancing, dining, drinking, and, undoubtedly, debauchery. Every person coming to the Armistice has her own goals, desires, and agendas, and when that many powerful people are in the same place at the same time, it’s anyone’s guess what will actually occur. Will their world be saved, or will it fall apart at the seams?